I’m very excited and pleased that we’re going to be publishing a seventh book in the popular ‘Alice & Megan’ series by Judi Curtin this autumn. I’ve been Judi’s editor since 2005, and it’s really, really enjoyable to work on a series like this where the characters (best friends Alice and Megan, plus their families, friends, teachers, etc.) develop from book to book and deal with new things as they make the transition from primary to secondary school. I’m just beginning work on the as-yet-unnamed seventh book, and it’s a great read. 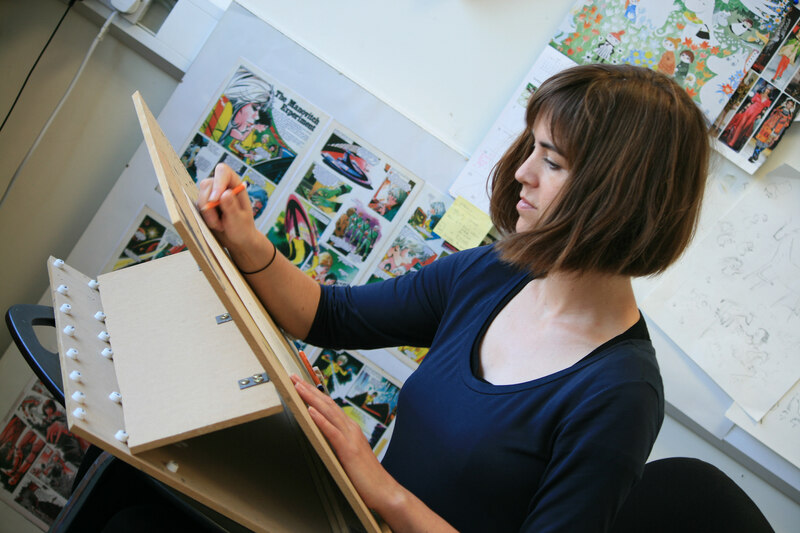 I’m really looking forward to taking it towards publication and working with Judi on it, and to commissioning more illustrations from the brilliant Woody Fox! I’m really excited about an exciting new collaboration between us and Movies @ cinemas. Later this week the pre-launch hype is going to start for The Secret of Kells movie, which is released on 6 March in Ireland. Movies @ are going to see how many of their customers, in both Dundrum and Swords, want to “take the magic of Kells home” with them, in the form of our lovely picture book and novelisation of the film. Not only that, but they are being amazingly generous with display space in their cinemas, with banners, posters and time on their plasma screens: here is one of the banners. I didn’t mention the great fun that was had at the premiere of the film on Sunday in Savoy 1, as the closing film for the Jameson Dublin International Film Festival. We walked up the steps to avoid the indignity of being physically removed from the world’s shortest red carpet! The cinema was jammed, the film looked and sounded great and director Tomm Moore pulled about 50 people onto the stage at the end to take a well-deserved bow. The Dublin Book Festival launch will take place tomorrow, Wednesday 25th February, at 6pm in the National Library, Kildare Street – come and enjoy a glass of red (or white!) and hear about the great line-up for the Festival. Several OBP authors have been confirmed including Celine Kiernan, Joe O’Brien, Éanna ní Lamhna, Conor Kostick and Michael Kelly. Pop in, you never know what you might discover! We were very lucky to have Will Atkinson, Sales and Marketing Director for Faber, and Robin Wood, head honcho from Anova, present to talk about selling outside the conventional book trade, and developing special products for existing and new customers. Some of the creative ideas were just brilliant, but I do wish we had a country of 50 million people instead of 5, so that you can do a clever “nichy” thing and still make a few bob. Naturally, the subject of websites came up quite a lot! Celine Kiernan, author of The Poison Throne, is set to appear at this year’s CBI Summer Conference in May – check out CBI for full programme details. Celine is in good company this year, appearing alongside Eoin Colfer, Patrick Ness and other luminaries from the world of children’s books. So what was the Blogs And Books event like? A very interesting event. Quite a decent audience for a gig of that type. In truth, the subject was so wide that there were no blinding insights or specific messages to be drawn from it, but a few things struck me. While Blogging is a young person’s game, the audience was older than I was expecting: when I asked how many there were under 25, about 5 hands went up. The blogging form is still young, but seems to be gaining a large degree of maturity, and it is inevitable that lots of great writers will cut their teeth on blogs, as well as continuing to use is as a means of self-expression along with whatever other writing they may do. 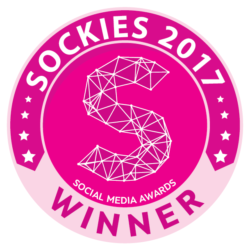 Thanks to the organisers, and best of luck to them all at the blog awards on Saturday! The OBP World Book Day flipper book (the only Irish one published this year, and the first bilingual one on record!) Daifní Dineasár / Alfie Green and the Monkey Puzzler will be launched in Eason’s O’Connell Street on World Book Day, Thursday 5th March 2009 at 11am. It’s almost World Book Day, and already the darkness of winter is lifting a little — we can almost get cheery about aspects of 2009! We have just had a great collaboration with CBI — a nationwide competition for kids to design a new cover for The Great Pig Escape by Linda Moller. The response was super, and some of the entries were very quirky indeed! There’s more info here, including all the runners-up entries. The Irish Blog Award Book Event (The Blookie Event: thanks David!) has been moved to The Teachers’ Club, right around the corner from the IWC at 36 Parnell Square. Same day and time as before. Actually, slight change in personnel too, as Fiona McPhillips has been added to the bill. That’s Wednesday 18 Feb, 7pm. 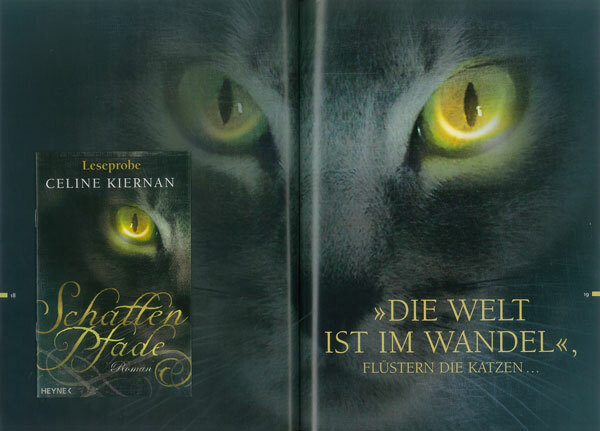 We have just seen the cover approach being used by Heyne, the German publisher for The Poison Throne by Celine Kiernan: they are calling it “SchattenPfade” which, the internet assures me, translates as “Shade Paths”. The second book in the Moorehawke trilogy is called “The Crowded Shadows” in English, so I wonder what they’ll go with for that!? Interestingly, while we published this as teenage fiction, the Germans are going with a dual approach — the Heyne edition (to be published this autumn) is aimed at a general audience, and a children’s/teenage edition will follow.